A 3-RBI performance from left fielder Javier Rentería led the Boston Rebels to a 13-2 win over the Montana Pandas. John Foster, the winner, improved to 1-0. He held Montana to 1 earned run on 5 hits over 6.2 innings, while racking up 8 strikeouts. The win gives the Rebels a record of 3-3. 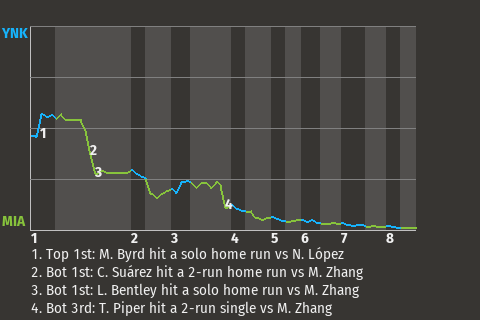 Rentería had a big at-bat with the bases loaded in the top of the fourth inning, when he drew a walk, driving in 1 run. The Rebels went on to win. "It feels good to get this one," Rentería told the Boston Chronicle.